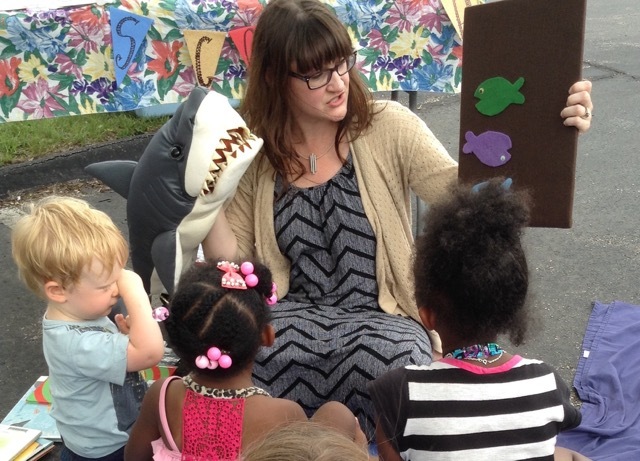 This week’s Kids’ Corner will be provided by the College Hill Literacy Team. Bring your kids or grandkids from 3:30 – 4:30 for stories, a craft and snacks. Every child will receive a free book to take home. If you think the market is only about fresh produce, think again. Each week you can find delicious granola from Grandola Granola, safe natural skin care products and organic herbal tea from Green Grrrl Wisdom, and fresh bread from Shadeau Bakery. Aunt Flora brings yummy cobblers and pulled pork sandwiches. Back Acres Farm offers a variety of farm produced items, including cheese, yogurt and meat. How about treating yourself to a jar of jam from North Oaks Farm? What veggies can you expect to find? Our Harvest and our other vendors now have the vine-ripened tomatoes that you’ve been hankering all year for. As the summer growing season gets into full swing, summer squash, peppers, cucumbers, green onions, beets, garlic, onions, fresh herbs and more can also be found. Grandpa from Feeders and Seeders was back last week and hopefully will return this week with more plums. Visit the College Hill Farm Market from 3:00 – 6:30 every Thursday in the parking lot of the College Hill Presbyterian Church, at the corner of Hamilton Ave. and Llanfair. This entry was posted in News and tagged Aunt Flora, Back Acres Farm, College Hill, College Hill Farm Market, College Hill Presbyterian Church, CSA, farmers' market, Grandola Granola, Llanfair Retirement Community, local farm, local food, North Oaks Farm, Our Harvest, Twin Towers by College Hill Farm Market. Bookmark the permalink.